Located in the shimmering Aegean Sea, Mykonos is part of The Cyclades, a group of over two hundred Greek islands, southeast of mainland Greece, forming part of the Aegean Archipelago. The name refers to the islands centred around the sacred location of Delos, an uninhabited island, considered to be the birthplace of Apollo, and home to some of Greece’s most important archaeological ruins. Other Cycladic islands include Santorini, Paros and Antiparos, Naxos (the largest), Amorgos, Milos, Sifnos, Serifos, Tinos, Syros and of course Mykonos. Many have become popular holiday destinations, famed for their beaches, ancient sites, rugged landscapes and the blue of the Aegean sea. Mykonos lies between Tinos, Syros, Paros and Naxos and has long been a popular holiday and vacation destination, its popularity is greater today than ever and increasingly with people who can afford the very best. Any holiday spent on Mykonos is set to be memorable, with nightlife, luxury beach clubs, international restaurants and some of the best summer retail in the world, but it is for its beaches that many return again, and again. While many Beauchamp Estates Mykonos villas come with stunning terraces and super pools, there is nothing quite like a walk along a beach as the waves lap over your feet, or an afternoon spent on a lounger listening to the sea, as cocktail time draws near and Mykonos prepares reveals another stunning sunset. On the Island, you are never far from a great beach, but The Island of the Winds, as Mykonos is affectionately known, can be gusty even on the hottest of summer days and it pays to know your Mykonos beaches. The best beaches in Mykonos are in the main along the south coast of the island, where they are more protected from the brisk winds. That is not to say that the beaches to the north are not worth exploring, particularly for those who like surfing and windsurfing, but they can be quite windy – especially for those looking to sunbath and swim. Consequently, they also tend to be much quieter. #1 Psarrou – like no other. 5 km south-east of Mykonos Town (Chora), with beautiful sand and many restaurants. There is quite a large social scene centred around this beach, which can be dominated in the high season by all-day party restaurant Nammos – you can hire a beach cabana, or escape the beach and spend the day off-shore on a private yacht. #2 Agios Ioannis – glorious seclusion. Just 5 km south of Mykonos Town (Chora), the beach here is relatively narrow, but quiet. One of the most beautiful beaches on Mykonos, though it may be too quiet for those seeking the famed Mykonos beach party spirit. 11 km south-east of Mykonos Town and the longest beach on Mykonos. 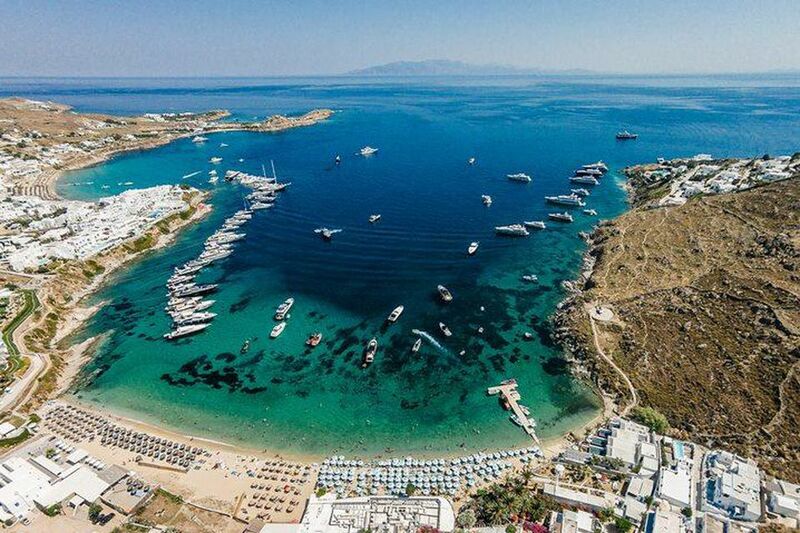 In peak season there are 5 or 6 buses a day from Mykonos Town to Elia: there is also a boat from Platys Gialos to Elia and lots of parking, for those who wish to drive. 7 km south-east of Mykonos Town (Chora). A small beach with plenty of activity and two or three beach bars. There are no buses to this beach, but there are small boats that run from Platys Gialos and Paradise Beach. 14 km east of Mykonos Town (Chora). A beautiful beach that is great for swimming and offers good snorkelling: as there is no public transport to this beach, so it also tends to be less busy. Some 3 km south of Mykonos Town (Chora), an idyllic beach with lovely surroundings and numerous restaurants. This beach is one of the most family-friendly beaches on Mykonos. On the northern side of Mykonos and previously a well-kept secret only reached by car (this has changed a little following the introduction of a seasonal bus service). Panormos is a very relaxing beach, with crystal-clear waters, there is an attractive bar (usually playing music) and lots of umbrellas. 6 km south-east of Mykonos Town (Chora), Paraga is beautiful but also very busy, there are several places to eat and drink here. 6 km south of Mykonos Town (Chora). This is party-central, with a young lively crowd and many bars that spill out onto the sandy beach. When the sun goes down the party gets louder. 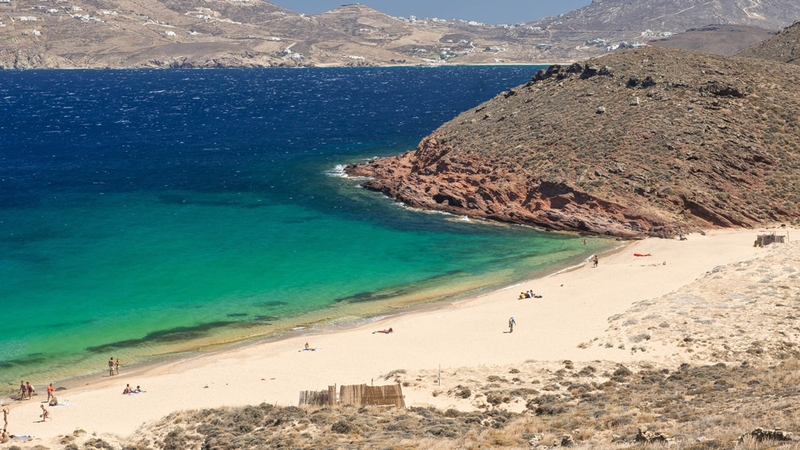 10 km south-east of Mykonos Town, Agrari is very quiet and secluded with good sand. The lack of bus from Mykonos Town helps ensure it is less busy, though there is a bus to Elia, from where it is a 15 minute walk. Insider’s tip: When planning a visit to one of the more popular beaches, such as Psarrou and perhaps a visit to Nammos, we would advise making reservations in advance. This is something that the team at Beauchamp Estates Mykonos can assist you with in advance of your stay. 5.9 km north-east of Mykonos Town (Chora). A serene beach with no amenities and completely clear water: this is a popular destination for those who know the island and want to enjoy a quieter beach experience. Some 11.5 km north-east of Mykonos Town (Chora). A very natural and scenic beach, with no loungers or umbrellas and clear water perfect for snorkelling and of course swimming. There is only one restaurant/taverna called The Taverna. 6.2 km north-east of Mykonos Town (Chora). Ftelia is an established location for windsurfers, as there is almost always a strong wind blowing. It is a little isolated, but this creates a very tranquil atmosphere and even during the very busy months (July and August) it is not overly crowded. “Mykonos is the vibrant summer destination and offers so much for young and old alike: it is always ‘buzzing’ from Easter to early November! 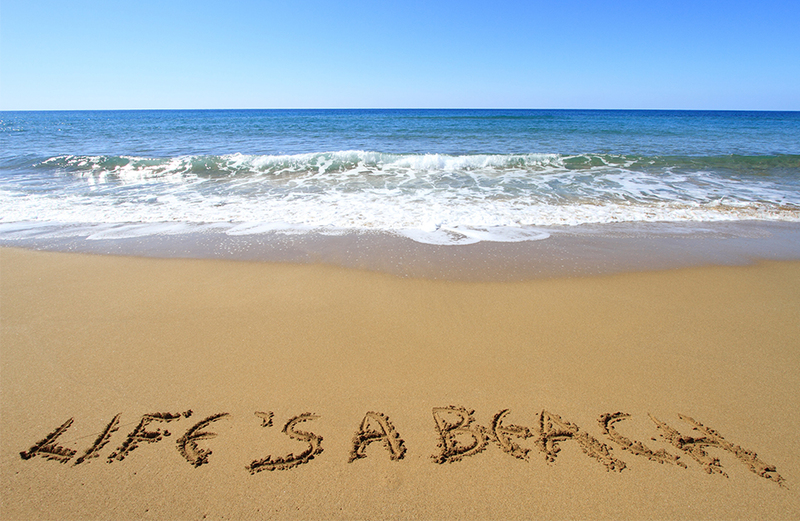 There are many excellent beaches … almost one for each day one is there! One of my favourites is Kalo Livadi: the perfect beach for walks along the shore and water sports and home to the wonderful restaurant, Solymar.